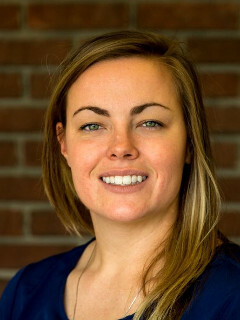 Katie is a PhD student in the Bharti School of Engineering at Laurentian University (2014–present). She did her undergrad and M.Sc. in the School of Human Kinetics, and then worked as an Occupational Health and Safety (OHS) officer for Golder Associates. Katie's research is focused on measuring and modelling the effects of foot-transmitted vibration on the human body. She is co-supervised by Dr. Tammy Eger, Research Chair in OHS, from the School of Human Kinetics. Goggins K, Tarabini M, Lievers B, Eger T. Resonant frequency identification at 24 locations on the foot when standing in a natural upright position during vertical vibration exposure. Proceedings of the 7th American Conference on Human Vibration (ACHV2018). June 13-15, 2018;​ Seattle, WA:52-53. Goggins K, Tarabini M, Lievers B, Eger T. Standing centre of pressure alters the virbation transmissibility response of the foot. Proceedings of the 7th American Conference on Human Vibration (ACHV2018). June 13-15, 2018;​ Seattle, WA:33-34. Goggins K, Tarabini M, Corti F, Lievers B, Eger T. Resonant frequency identification at the foot when standing in a natural upright position during vertical vibration exposure. Proceedings of the 6th International Conference on Whole Body Vibration (WBV2017). June 19–21, 2017;​ Gothenburg, Sweden:85-86. Justin graduated from the Bharti School of Engineering in 2014 with a degree in mechanical engineering. After working for a couple of years for IONIC Engineering in Sudbury, he has returned to Laurentian to pursue a Master's degree (2016–present). 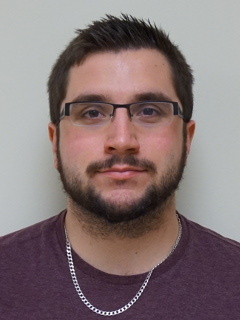 Justin's thesis, which is co-supervised by Dr. Scott Fairgrieve of the Department of Forensics, aims to improve the force measures recorded by an instrumented blunt- and sharp-force simulator. Matt graduated from the Bharti School of Engineering in 2017 with a degree in mechanical engineering. He worked part-time as a research assistant during his undergraduate studies, and liked it enough to stick around for a Master's. Matt's research considers the effects architecture on the mechanical properties of cancellous bone. Morton JJ, Bennison M, Lievers WB, Waldman SD, Pilkey AK. In-situ micro-computed tomography imaging of rat vertebrae tested under uniaxial compression. Invited presentation at the 29th Canadian Materials Science Conference (CMSC 2017). June 20—23, 2017; Ottawa, Canada. Maxime graduated from the Bharti School of Engineering in 2017 with a degree in mechanical engineering. Her research focuses on sharp-force trauma and is co-supervised by Scott Fairgrieve from the Department of Forensics. 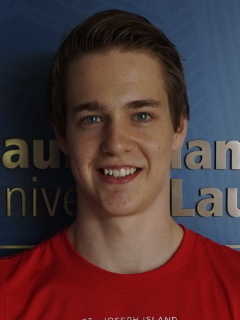 Adric is a MASc student at Queen’s University, working under the co-supervision of Dr. Keith Pilkey. 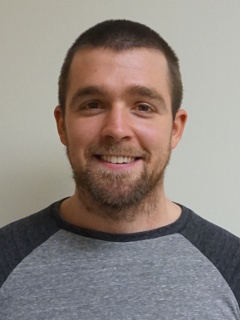 In 2017 he graduated from the materials option of the mechanical engineering program at Queen’s, throughout which he worked with Dr. Pilkey as an undergraduate research assistant working with both high-strength steel and trabecular bone. Upon graduating he began his master’s research, focusing on the uniaxial compressive mechanical behaviour of bovine trabecular bone using x-ray micro-computed tomography as a characterization technique. 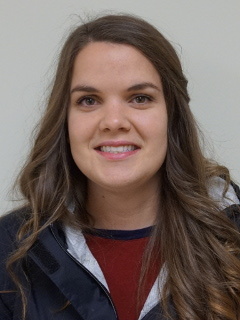 Maddie completed her mechanical engineering undergraduate degree at Queen’s University in 2016, during which time she completed research involving prosthetics. Keen to continue her interest in biomechanical engineering, she completed her M.A.Sc. degree focusing on finite element modelling of healthy and osteoporotic rat vertebrae under uniaxial compression. She was co-supervised by Keith Pilkey. 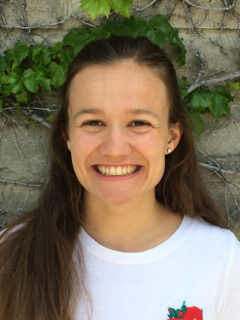 Maddie now works as at ANSYS Canada Ltd. in Waterloo, ON. Driver MG, Lievers WB, Pilkey AK. Load sharing of cancellous and cortical bone in rat vertebrae under uniaxial compression determined using finite element analysis (FEA). Poster presented at the American Society of Bone and Mineral Research (ASBMR2018) Conference. September 28-October 1, 2018;​ Montreal, QC. 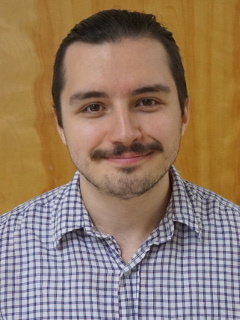 Benjamin, who is studying mechanical engineering at the Bharti School of Engineering, worked as an NSERC USRA (Undergraduate Student Research Award) student during the summer of 2016. During that time, he worked on commissioning and validating the instrumented blunt- and sharp-force impact simulator. 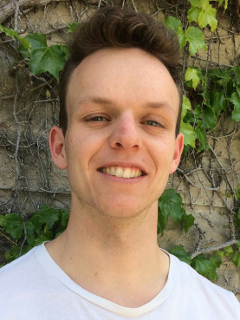 Blake worked as an undergraduate research student during the summer of 2015. His primary task was to make hardware and software improvements to the instrumented blunt- and sharp-force simulator. He also performed some experimental tests to determine the center of gravities for various underground helmet systems. Blake now works for Lopes Ltd. in Sudbury. Phil graduated from the Mechanical Engineering program at the Bharti School of Engineering in 2015. During his final year he worked part-time as an undergraduate research assistant, helping to design and build a custom device for measuring the location of the center of gravity for various helmet mounted systems. Phil now works in Ottawa for General Dynamics Mission System–Canada.